Marvel's Agents of S.H.I.E.L.D. Eye Spy Marvel's Agents of S.H.I.E.L.D. Eye Spy ( Episode 04 ) The woman behind a series of high-stakes heists holds a troubling secret that stands to ruin Coulson. , or simplyAgents of S.H.I.E.L.D., is an American television series created for ABC by Joss Whedon , Jed Whedon and Maurissa Tancharoen , based on the Marvel Comics organization S.H.I.E.L.D. (Strategic Homeland Intervention, Enforcement and Logistics Division). The series is produced by ABC Studios , Marvel Television , and Mutant Enemyand is set in the Marvel Cinematic Universe , sharing continuity with the films in that franchise. It revolves around the character of Phil Coulson , with Clark Gregg reprising the role. green light in late 2012 and filmed in early 2013. The series was officially ordered on May 10, 2013and premiered on September 24, 2013.On October 10, 2013, ABC picked it up for a full season of 22 episodes. Set after the events of The Avengers, Agent Phil Coulson assembles a small team of agents to investigate a superhuman, Mike Peterson (J. August Richards), who is able to survive an exploding building, and a hacker group, the Rising Tide, that seems to have information. Skye, a member of the Rising Tide, meets with Peterson to warn him about S.H.I.E.L.D, saying that they cover up superhero based events and that she can help him, which he declines. Later, Skye is abducted by Coulson and Ward and questioned on their plane. She does not cooperate initially, but eventually reveals what she knows. It is later revealed that Peterson had been supplied with Extremis technology, giving him his powers, by an unknown organization. After visiting the explosion scene, Coulson's team is able to recreate it and learn that it was caused by another subject exploding due to Extremis. While attempting to get info to the team, Skye is kidnapped by Peterson, who is now on the run, and makes her give him a clean slate. Coulson's team is able to track them down and are able to subdue Peterson without him causing mass damage. Afterwards, Coulson offers Skye a place on the team. Skye is now integrated into Coulson's team as a consultant. Their next assignment is in Peru, tracking a "0-8-4", a S.H.I.E.L.D. prefix for "an object of unknown origin". Once there, the team quickly realizes that the object is actually a piece of forgotten HYDRA technology powered by Tesseract energy. Coulson meets with a former ally, Camilla Reyes (Leonor Varela) and brings her onboard the team plane. Later, Reyes betrays Coulson and plans to take the HYDRA weapon for herself so she can destroy the Peruvian rebels. The squabbling team members band together, utilizing each of their talents, and save the day. Skye receives a text message from another member of the Rising Tide and confirms her allegiance to them. Afterwards, Director Nick Fury (Samuel L. Jackson) scolds Coulson for the damage to the plane, and reminds him about the risk Skye poses. S.H.I.E.L.D. searches for one of its assets, Dr. Franklin Hall (Ian Hart), who was kidnapped by his former research partner Ian Quinn (David Conrad). He wants to use Hall to take control over the planet's gravity by building a giant "gravitonium" generator. Heading to Malta with the team, Skye volunteers to infiltrate Quinn's mansion so that Coulson and Ward can rescue Hall. Skye tricks Quinn into believing she is betraying S.H.I.E.L.D. for Rising Tide to get his guard down. However, Coulson soon discovers that Hall perpetuated his own escape and wants to destroy the massive device. Hall believes he is in the right, but Coulson warns him doing so would end up killing millions. Their violent disagreement leads to Coulson being forced to not save Hall as he falls into the middle of the generator, seemingly vaporizing him. 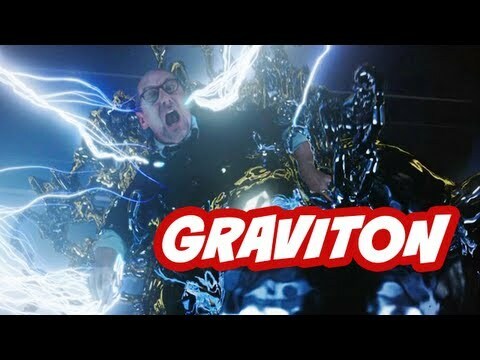 Coulson orders that the gravitonium be placed under high security and off the books. S.H.I.E.L.D. does not notice that Hall may still be alive. There have been a series of thefts throughout the world that are almost impossibly premeditated. Coulson and his team investigates and he uncovers the identity of the thief: his former protégé, Akela Amadour (Pascale Armand). Coulson had presumed her dead and does not believe she is capable of turning on S.H.I.E.L.D., despite May's argument that she is nothing more than a weapon. The team nearly catches up to her, but she manages to evade them. They soon find out she is being controlled through a camera in her eye (with X-Ray backscatter functions) which has a fail-safe bomb in case she defects. Coulson takes her to the Bus and hijacks her feed so Ward can take over her new mission while they take out the bomb. Coulson catches up to who he thinks is the mastermind behind Akela's thefts, but the man is quickly killed through a similar device to Akela's. Akela is taken away by S.H.I.E.L.D. officers, though May promises her she will have a fair trial. Before she goes, Akela tells May something seems different about Coulson. Afterwards, Fitz is playing blackjack with Ward and taunts him as they play. What Ward doesn't realize is that Skye is about to use the glasses he used to simulate Akela's vision until Skye tells Fitz she'll see him without clothes and he leaves. She turns them on anyway to check out Ward.